An air-conditioned home is an oasis during the hottest days of summer, but keeping your home cool can cause your electric bill to skyrocket. These five tips will help you cool your home more efficiently and reduce summer cooling costs. Even small steps can have a surprisingly big impact on lowering your summer electric bill. Maintaining your air conditioning system and your home can help reduce summer cooling costs, and will be well worth the time and money spent on maintenance. Schedule an annual maintenance checkup during late spring or early summer to make sure your cooling system is in good shape for summer. Your technician can tune up the system and identify any potential problems early on. You should also vacuum the air registers in your home regularly to remove dust buildup. Keep all registers open, and make sure the registers are not blocked by furniture. Use caulk or weather stripping to seal leaks around doors and windows. Confirm your clothes dryer is properly vented to the outside and that the vent is free of leaks. Leaky windows can be responsible for up to 25-30 percent of home energy costs, so it is worth considering replacing older windows with new, energy-efficient glass. Although this is a costly update, choosing Energy Star qualified windows can add up to big energy savings. The Department of Energy recommends setting your thermostat at 78 degrees when you are at home to reduce summer cooling costs. Set your thermostat higher when you are away from home. A general rule of thumb is that you can save 10 percent on your energy bills by setting your thermostat 10 to 15 degrees higher for eight hours daily. A programmable thermostat allows you to tailor your system settings to your schedule without having to remember to adjust the settings every day. 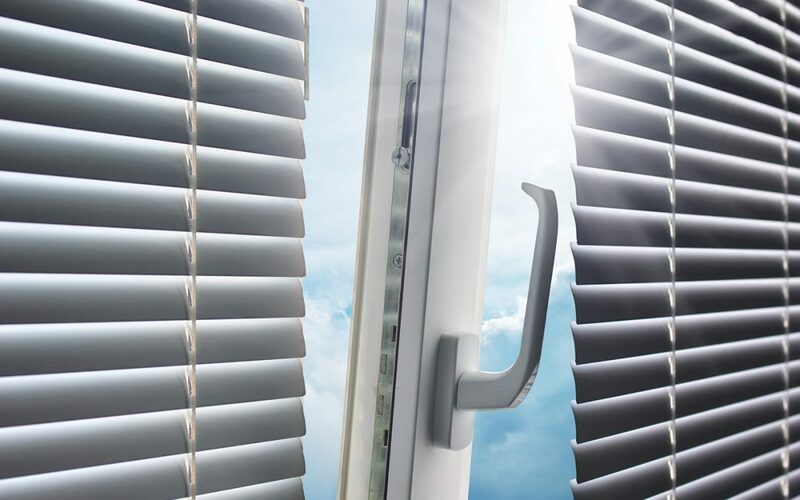 Reduce summer cooling costs by keeping your blinds and curtains closed during daylight hours. Not only will this help keep the sun from heating up your house, but your window coverings can also help further insulate your windows. Take particular care to keep the afternoon sun from coming in through southern and west-facing windows. Home appliances such as ovens, dishwashers, washing machines, and clothes dryers can add extra heat to your home. Limit appliance usage during the hottest part of the day, and consider air drying your dishes and clothes to reduce summer cooling costs. Reduce the heat in your kitchen by using the stove, microwave, or outside grill rather than the oven. Try to run your washing machine and dishwasher at night when it’s cooler to lessen the impact on your energy consumption. Ceiling fans, especially those with an Energy Star qualified label, use significantly less energy than an air conditioner. Using fans will reduce summer cooling costs by allowing you to increase the temperature setting on your thermostat without feeling noticeably warmer. Use exhaust fans to remove heat and humidity from the bathroom and kitchen. Take shorter showers, and limit heat-generating cooking activities to reduce the impact on your electric bill. Checkpoint Home Inspections serves the Northwest Oregon Coast with home inspection and testing services, including thermal imaging, mold testing, and radon testing. Contact us to book your appointment.